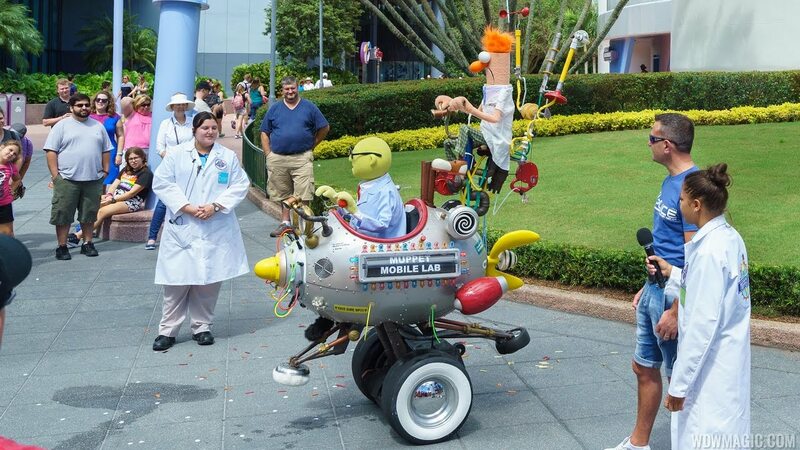 Doctor Bunsen Honeydew and his assistant Beaker are back with the Muppet Mobile Lab at Epcot. The Walt Disney Imagineering Living Character is now making occasional appearances in Future World, near to the Tip Board area behind Spaceship Earth. Check out this brief video of one of their appearances earlier today. We'll have more later, so check back.